The Colorado River and the Green River in Southern Utah offer some of the best river rafting found anywhere. River outfitters and guides can customize your river trip to match nearly any number of people, any schedule and provide you with all the adventure you want. Professional guides will provide proper equipment and make sure your trip is safe and enjoyable. If you want to take a self-guided river trip, rafting companies have gear for rent including rafts, life vests, and miscellaneous camping equipment. 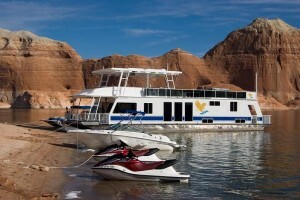 Offering Lake Powell Houseboat Rentals at Bullfrog, Wahweap and Antelope Point Marinas. We’re the one stop shop for all recreational rentals at Lake Powell. Call us today! 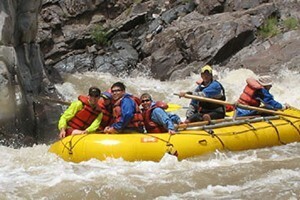 Canoe and kayak adventures along the Green and Colorado Rivers, shuttle services offered, reasonable rates.